Lot 687. BYZANTINE EMPIRE. 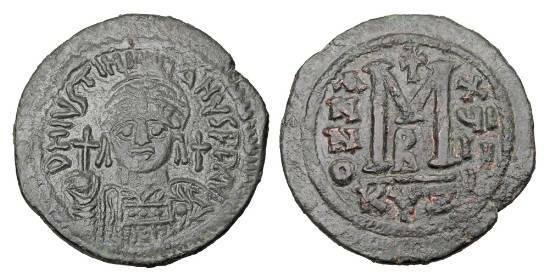 Justinian I, 527-565 AD. Æ Large Module Follis.